If the Canadiens remain in or close to their current placement within the NHL standings they will face a battle for a first pick. To select drafts the NHL uses a weighted system, and a team with a poor record stands a better chance of landing a top player, rather than the other way around. This is good news on the ice, but not when it comes to the picks and if the Habs remain in their current position and no unforeseen calamity occurs they look set to be drafting in about the middle of the first round. Of the top five Canadian-only teams predicted to win the first pick lottery the Habs don’t make an appearance and the Edmonton Oilers are in the lead, followed by the Calgary Flames; in third place are the Vancouver Canucks with 6.2%, followed in fourth by the Toronto Maple Leafs at 3.6% and finally in fifth, the Winnipeg Jets with 2.7%. These five Canadian teams are all in with a chance, and unless the Canadiens absolutely disintegrate they won’t be in this top 5 listing. Regardless as to when the Canadiens get the chance to draft they look set to use the opportunity to add talent and size to the team’s forward prospects. 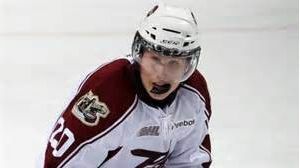 The Habs are hoping that the draft will give them a great opportunity to pick and if they can do so they are sure to select Peterborough Petes’ Nick Ritchie in the first round. If this happens the draft will have been exceptionally kind to the team and not being in the top 5 won’t matter. Fans and team members have their fingers crossed that Ritchie falls conveniently towards the middle of the first round as his 6’3, 235 pound frame will add the exact characteristics the team is looking for. If Ritchie isn’t available, fans will have to keep an eye out on other players such as Nikolaj Ehlers, Oskar Lindblom and Brycen Martin who are pipped to come up in the second round. In the past, the Canadiens have been very busy in the draft and generally their acquisitions have gone on to be successful. 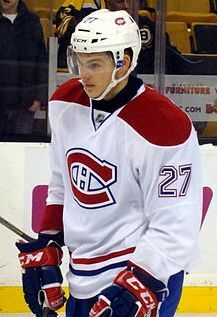 In 2013, eight players including Michael McCarron and Jacob de la Rose were snapped up and prior to that, 2012 saw the arrival of Tim Bozon and the popular Alex Galchenyuk. All will be revealed on June 27th and Canadien fans are waiting with baited breath to see who will get the top spots! One Response to Will the draft be kind to the Canadiens? we won’t get ritchie he’ll be long gone by that our pick unless bergevin can trade down otherwise i hope we draft brendan lemieux…..he’ll be a good one ,and if he’s anything like his dad claude he’ll be a welcome addition!